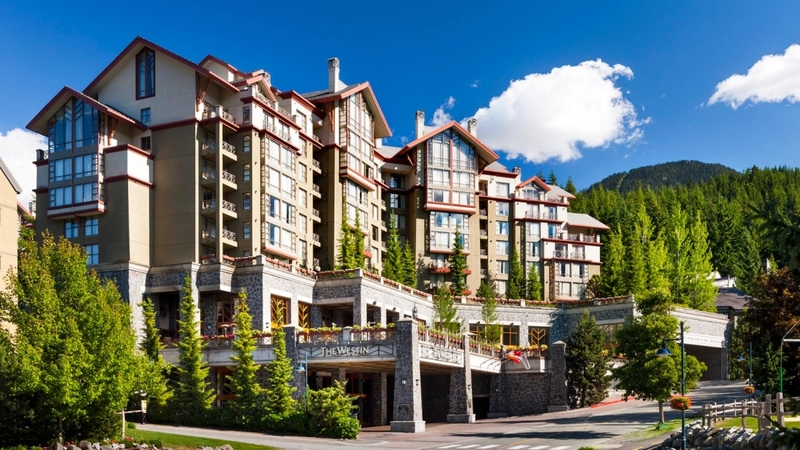 The Northwest Society of Colon and Rectal Surgeons is planning its 58th Annual Meeting at Westin Resort and Spa in Whistler, BC on July 26-29, 2017. We are delighted to announce that Dr. Patricia Roberts, ASCRS past president, Dr. Richard Billingham and Dr. Sarah Bastawrous have agreed to attend the meeting as invited speakers. Dr. Liliana Bordeianou will deliver the Gene Sullivan, MD Memorial Lecture. Finally, Dr. Sean Lagenfeld will deliver the Par Kamangar Lecture. Whistler in the summer offers gondola rides, golf, mountain bike trails, zip lines, hiking and lots more. Click on the button below to access the final program. Guest room rates are based on single/double occupancy. For each additional person, over eighteen (18) years of age, a charge of $30.00 CAD per person per night will apply. All room rates are quoted exclusive of applicable government taxes, currently five percent (5%) Goods and Services Tax (GST) and ten percent (10%) Provincial and Municipal tax (Total of 15% tax). Taxes are subject to change without notice. Rates will be available 2 days prior to the meeting, subject to availability of guest rooms at the time of reservation. This activity has been planned and implemented in accordance with the accreditation requirements and policies of the Accreditation Council for Continuing Medical Education (ACCME) through the joint providership of OHSU School of Medicine and Northwest Society of Colon & Rectal Surgeons. The OHSU School of Medicine is accredited by the ACCME to provide continuing medical education for physicians. OHSU School of Medicine designates this live activity for a maximum of 12.0 AMA PRA Category 1 Credits™. Physicians should claim only the credit commensurate with the extent of their participation in the activity. This meeting is intended for all providers involved in the evaluation and treatment of colorectal disease, including general surgeons, colorectal surgeons, advanced practice providers, and other healthcare professionals involved in the diagnosis, treatment and prevention of colorectal disease. We have arranged some options for summer activities for you and your family. We also include transportation options to/from Whistler from Vancouver, BC. To facilitate border procedures it is recommended that foreign attendees and exhibitors be bring a copy of the letter provided by CBSA for presentation to a CBSA Border Services Officer upon their arrival to Canada. The Westin Whistler is on the right. Exit the Airport and continue onto the Arthur Laing Bridge. Take the exit for SE Marine Dr. Follow SE Marine Dr. until you reach Boundary Road. Take Boundary Rd. north until you reach Highway 1. Take the exit to Highway 1 West. Follow Highway 1 to Horseshoe Bay. Highway 1 becomes Highway 99. Follow Highway 99 to Whistler. Turn right onto the Village Gate Blvd. Continue along Whistler Way and The Westin Resort & Spa is on the left. *Driving time is approximately 2.5 hours.